I wasn’t expecting it to be so bright the picture is definitely more toned down it’s pretty just not for me too peachy. Jacquelynn Bailey has rated on date 01/07/19 as BrightI wasn’t expecting it to be so bright the picture is definitely more toned down it’s pretty just not for me too peachy. with 4.5star. I thought it had great pigment and all colours in this shade were very wearable for my skin tone !! Phoebe has rated on date 12/31/18 as GreatI thought it had great pigment and all colours in this shade were very wearable for my skin tone !! with 4.5star. Sara Ali has rated on date 12/06/18 as MarvalousI really love the colors especially with glow kit with 4.5star. Maria Farias has rated on date 12/05/18 as AwesomeLove it!!!! with 4.5star. My 24 year old daughter introduced me to this line of makeup. She has beautiful, fair to medium flawless skin and dark hair. 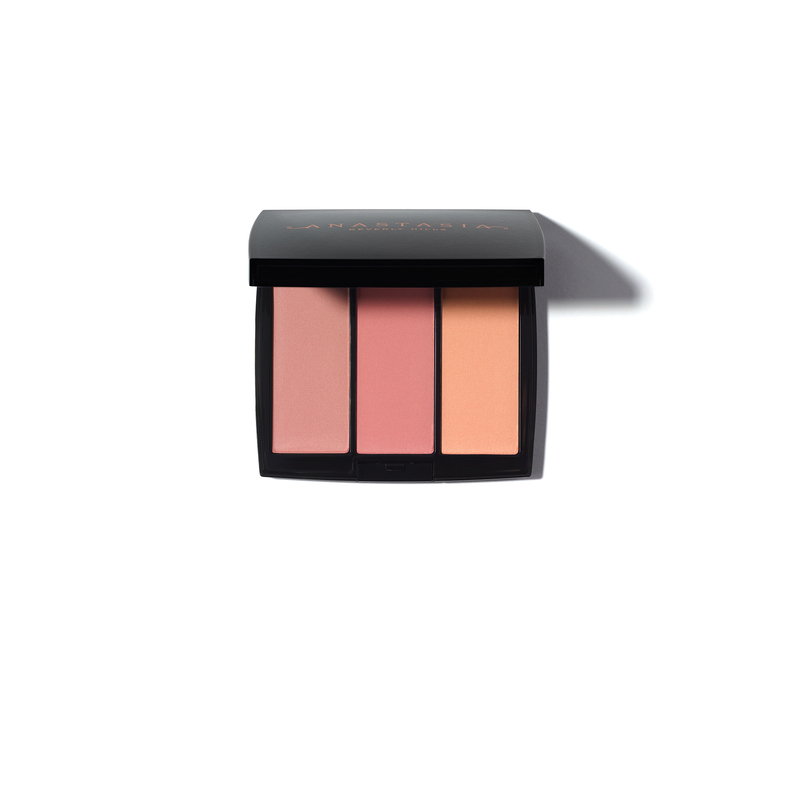 This trio of blushes enhances her natural beauty. It looks amazing on her. I am 58 and use little makeup but thought I’d give this trio a try. My skin is fair to medium and I am (bleached) blind/gray. I think this also looks very natural on my skin - I have been told I look to be glowing when I use this. I really love the finish as well. Looks like the product will last a good long time too! Very happy and appreciate the sale price! Homebody has rated on date 12/05/18 as Lovely, universal color and beautiful finishMy 24 year old daughter introduced me to this line of makeup. She has beautiful, fair to medium flawless skin and dark hair. This trio of blushes enhances her natural beauty. It looks amazing on her. I am 58 and use little makeup but thought I’d give this trio a try. My skin is fair to medium and I am (bleached) blind/gray. I think this also looks very natural on my skin - I have been told I look to be glowing when I use this. I really love the finish as well. Looks like the product will last a good long time too! Very happy and appreciate the sale price! with 4.5star.